What is the Windows 7 Action Center? 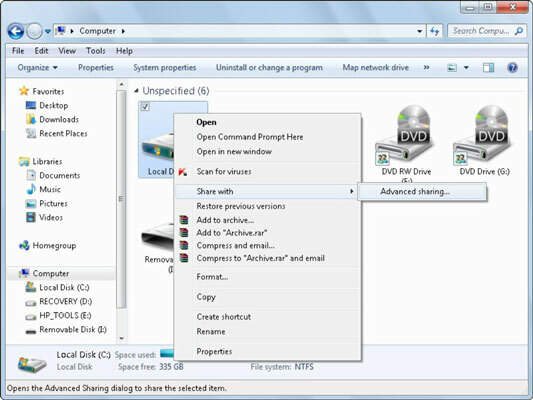 Open Windows Explorer and browse to the hard disk you want to share. Display the hard disk in the left pane of Windows Explorer. 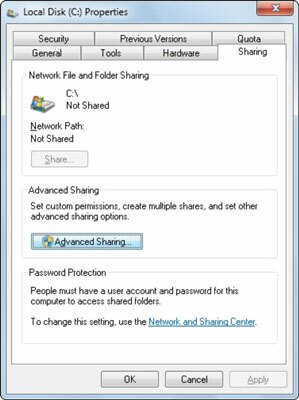 Right-click the selected disk, choose Share With, and then choose Advanced Sharing. The Local Disk Properties dialog box appears. On the Sharing tab, under Advanced Sharing, click the Advanced Sharing button. The Advanced Sharing dialog box appears. Select Share This Folder, and then give the share a name. You can also limit the number of simultaneous users that can connect to the disk. Click the Permissions button. By default, the share name is the drive letter you are sharing. Remember that you’re actually sharing the entire disk, not just a folder. The maximum number of simultaneous users is 20. 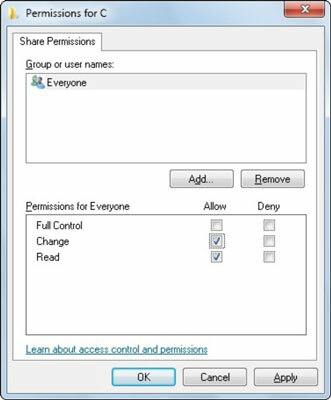 You can change the default permissions for the Everyone group by selecting the desired permissions (Full Control, Change, Read) under the Allow or Deny column. To add other users or groups, click the Add button. 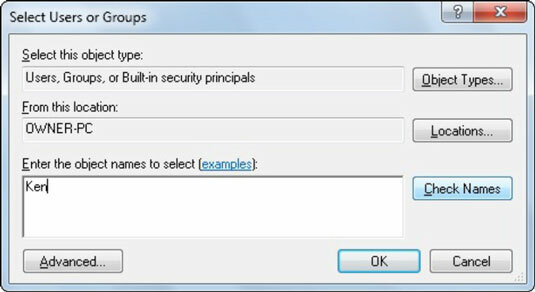 The Select Users or Group dialog box appears. 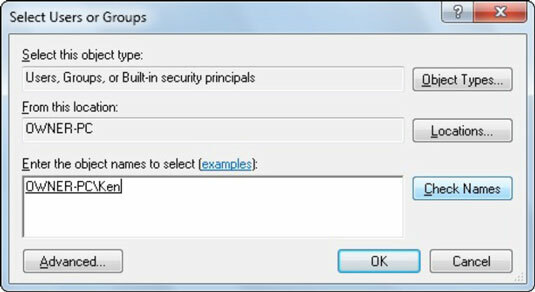 Under Enter the Object Names to Select, type the account name of the person you would like to add, and click Check Names. If the account name is found, Windows underlines your entry and also adds the name of the computer to the beginning of the account name. You are returned to the Permissions dialog box. Select the added user’s account name, and then modify the permissions as desired. (See Step 5.) 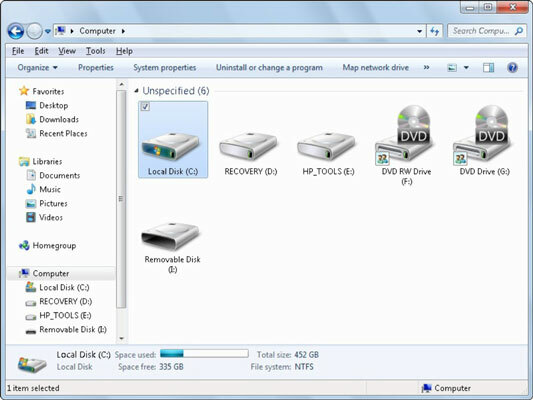 Click OK.
Windows 7 assigns the permissions you specified to the selected hard disk.